NAS Atlanta in 1950. 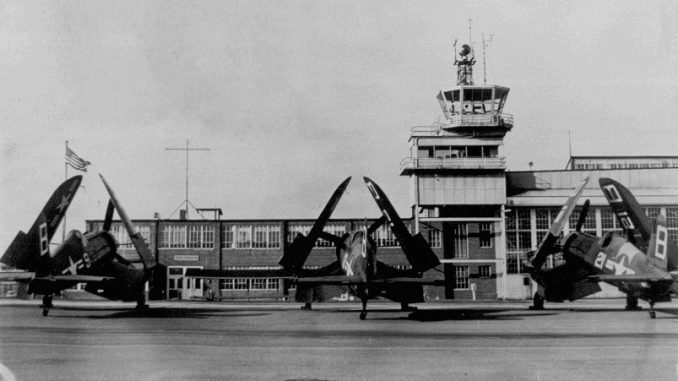 The control tower is still existing but is now replaced with a modern structure. PRESS RELEASE- Chamblee, Georgia’s Dekalb-Peachtreee Airport (KPDK) will be transformed into a World War II airfield September 27-28, 2014 when a squadron of vintage military aircraft from across the United States descend on the former Navy training base to celebrate the inaugural Atlanta Warbird Weekend.The first ever Atlanta Warbird Weekend is a community effort inspired and lead by the Commemorative Air Force (CAF) Dixie Wing, the Georgia Chapter of the largest WWII flying museum in the United States. 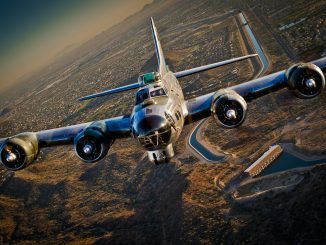 Originally conceived as a showcase for the Boeing B-17 Flying Fortress “Sentimental Journey” from CAF Airbase Arizona, the lineup has grown to include over 15 WWII-era aircraft, military vehicles, reenactors in period uniforms, educational activities and opportunities to meet World War II veterans. Over twenty organizations are collaborating to create the event. 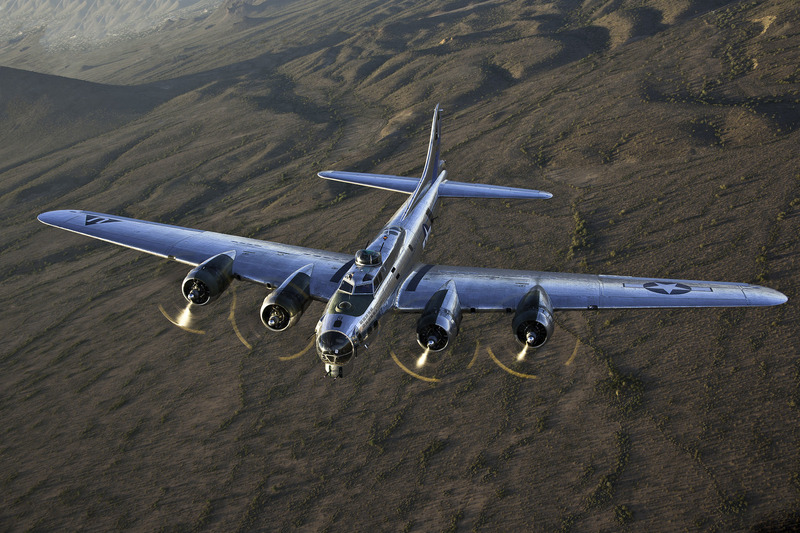 The mission of the Texas-based Commemorative Air Force is to honor veterans and American Military Aviation through flight, exhibition and remembrance.In addition to the classic B-17 Flying Fortress, examples of three of WWII’s most iconic fighters will fly into Dekalb-Peachtree Aiport. 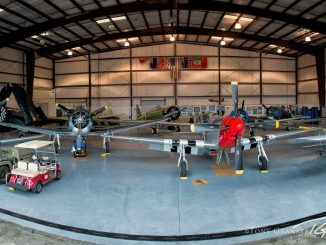 A Supermarine Spitfire, made famous during the Battle of Britain, will be joined by a trio of North American P-51 Mustangs and a Goodyear FG-1 Corsair. The Mustangs were nicknamed “Little Friends” by United States Army Air Forces (USAAF) bomber crews, while the Corsair is often associated with the United States Marine Corps’ VMF-214 Black Sheep Squadron and Medal of Honor recipient Maj. Greg Boyington. 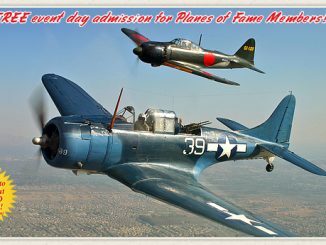 Rides can be purchased in the B-17 Flying Fortress “Sentimental Journey”, P-51 Mustang “Red Nose” and other CAF Dixie Wing aircraft, with prices starting at $99. Proceeds from the rides and aircraft tours are used to offset costs in maintaining and flying the aircraft. 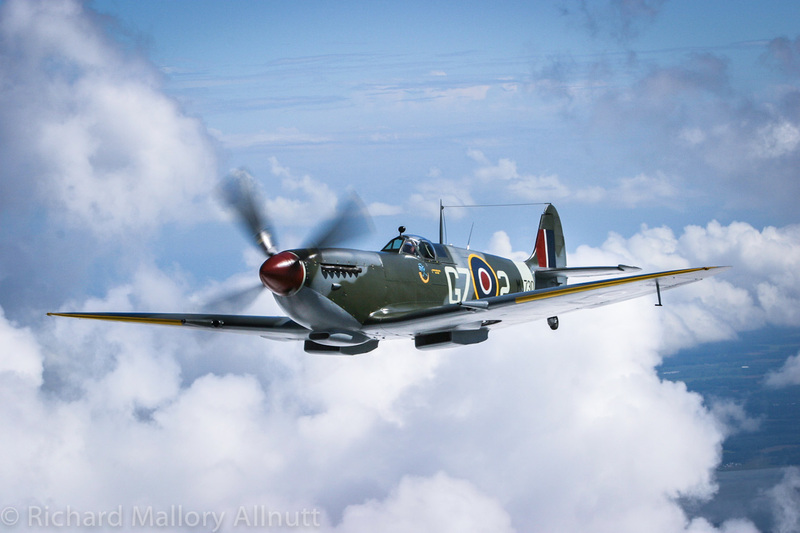 The Military Aviation Museum’s Spitfire Mk IXe will be one of the special guest of the event. Image by Richard Mallory Allnutt. The weekend will provide bragging rights for aviation and history enthusiasts, but more importantly the public will have an opportunity to learn about the men and women who flew the aircraft during the Second World War, arguably the defining event of the twentieth century. Educational activities include “Warbirds in Review”, a “WWII Veterans Meet & Greet” and a recreated USAAF 8th Air Force Mission Briefing delivered by reeanctors wearing authentic World War II uniforms and equipment. 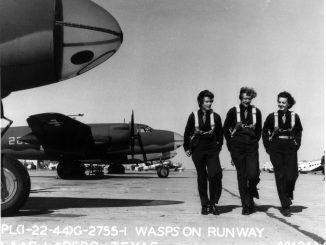 “Warbirds in Review” is a series of flight line presentations delivered by pilots and experts who describe the service history of the Spitfire, Corsair, Mustang and Japanese Zero. Actors will provide music from the 1940s during the weekend. Daytime activities are free to the public. 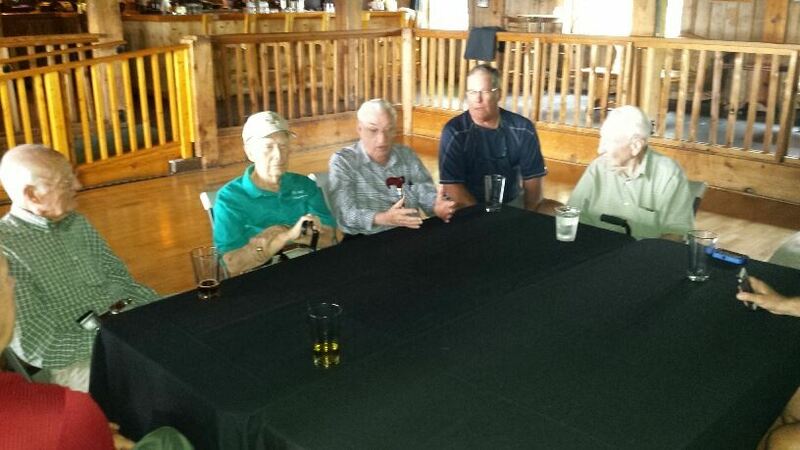 The highlight of the weekend is “Dinner With Eagles: Airmen of the Mighty Eighth”. 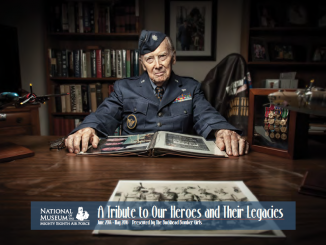 Beginning Saturday night at 7pm five veterans of the USAAF Eighth Air Force will describe their experiences during the aerial bombing campaign over Nazi occupied Europe. Noted WWII aviation historian and author Bruce Gamble will lead a panel discussion comprising P-51 pilot Robert “Punchy” Powell, B-24 Liberator navigator Farish “Hap” Chandler and B-17 Flying Fortress crewman Henry Hughey, Albert MacMahan and Jonathan Swift.The program will be held at the WWII aerodrome-themed 57th Fighter Group Restaurant located at Dekalb-Peachtree Airport. Tickets for the event can be purchased online. Participating organizations include the Commemorative Air Force (CAF) Airbase Arizona, Eighth Air Force Historical Society, Georgia Chapter, Airmen Preservation Society Southern Wing, Florida Fly Boys, Kelly’s Zeroes, Tuskegee Airmen International, Atlanta Chapter, Georgia Military Vehicle Preservation Association, Civil Air Patrol, Atlanta History Center and Witness to War veterans oral history program. CAF Arizona Airbase B-17 “Sentimental Journey photographed by by Jay Beckman. Atlanta Warbird Weekend Co-Chairman Moreno Aguiari explained how the all volunteer CAF Dixie Wing created a dynamic new event from the ground-up: “Dedicated volunteers are the engine for the Atlanta Warbird Weekend, but we have been extremely fortunate to receive logistical, financial and promotional support from Dekalb-Peachtree Airport, Atlantic Aviation, Epps Aviation, Aviation Institute of Maintenance, Honda Carland, the Chamblee Chamber of Commerce and the Georgia Center of Innovation for Aerospace.”Atlanta Warbird Weekend will be held Sept. 27th-28th, 10 a.m. to 4 p.m. each day. 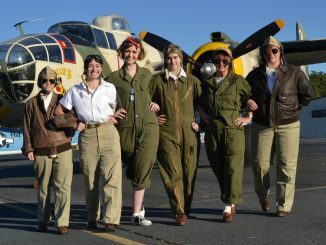 For a complete schedule of activities, flight prices and reservations or to purchase tickets to “Dinner With Eagles”, visit www.atlantawarbirdweekend.com. 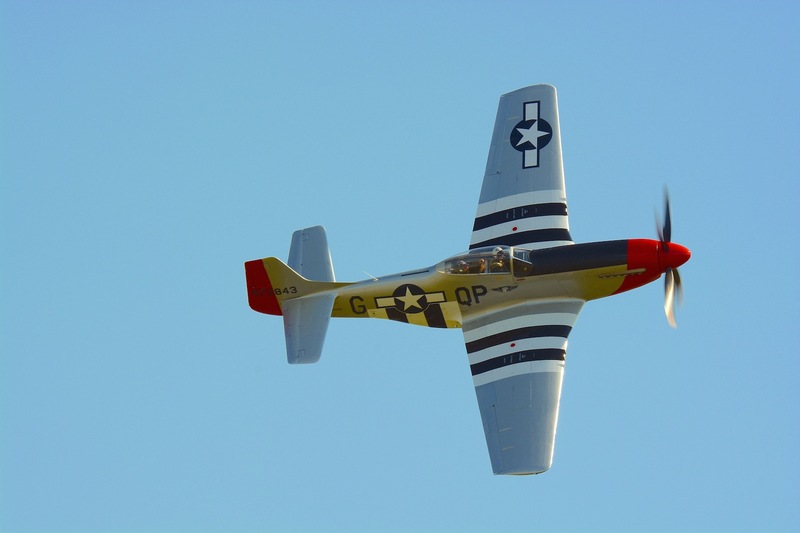 got anything special for a scheduled P-51 rider that has also had one of his photo’s used on the website a while back?? 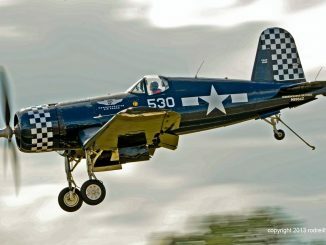 is the corsair realll going to be there and is it going to be flying a couple of times. 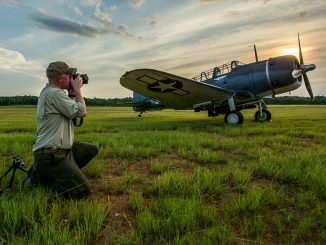 Also, having been a plane captain ( crew chief ) on an f4u corsair in vmf 122, mag 14, I would be glad and honored to help check it out for flight. . , with permission limited of course.. Just to see the corsair take off and land, and fly by my happy and proud face. need I say more. who owns and who flys it? thank you for listening. Henry, The Corsair will not fly. It will be there Saturday late afternoon and all day Sunday on Static. I have sent you an email.